Fog bar lights are an added light source on your vehicle, designed to improve visibility in certain conditions, such as fog, heavy rain, snow, dust or heavy smoke. The Nilight 126W LED Combo fog bar is an effective and versatile off-road light that will make driving under these conditions easier. 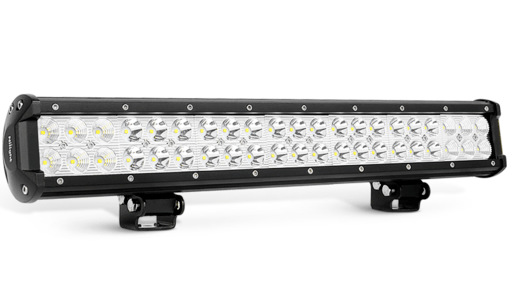 Quite a mouthful, but the Nilight 126W LED Spot Flood Combo Fog bar is packed with great features. 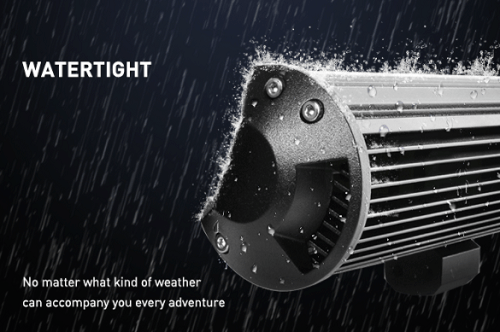 It is an off-road fog lightning device which not only works great in adverse weather conditions for cars, SUV’s and 4x4 vehicles but also for trucks, forklifts, boats or any other outdoor lightning requirements. The Nilight Spot Flood Combo is an after-market fog light, which means it is installed on your vehicle after coming out of the factory. It is powered by a 126 W LED light, making it a powerful light source. The Spot Flood Combination means that you have two types of light beams operating. The spot light uses a center spot to concentrate the light, which increase your irradiation distance, while the flood provides side patterns, which broadens your view. In combination they are highly efficient. The light source is an LED light which has a very long shelf life, in this case a working lifespan of over 30 000 hours. LED lights don’t have a filament that can burn out like Halogen type bulbs and that is one of the reasons they have such a long lifespan. LED lights are also not affected by vibrations and they use minimal power to operate. The Nilight fog bar is designed with high-quality heat conduction silicone gel as well as aluminum alloy housing, which provides a great cooling effect and thus contributes to the long working lifespan. The Nilight fog bar has an IP67 Waterproof rate and can be submerged into one meter of water for 30min. It has a hefty arched cover as well as a waterproof rubber pad and a silicone strip for added protection. This is great to know in heavy rain areas or when driving through pools and shallow rivers when off-roading. It can withstand harsh conditions because of its die-cast aluminum alloy housing, anti-corrosive power coat and impact resistant PC lens. It is dustproof and shake proof. The stainless-steel mounting brackets are also rustproof and anticorrosive, making it a very durable light. 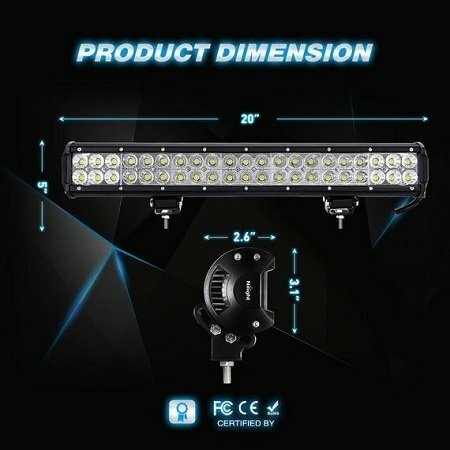 The mounting brackets are adjustable and the light can be adjusted to about 45 degrees, which is useful when you need to change the direction of the light beam. As mentioned, this light is very versatile and can be used on several different vehicles, even boats. It can be used indoors as well with a currency converter to convert the AC 110-120V to DC 12V. The light color is pure white with a Kelvin color temperature of 6000-6500 V.
It is important to note that since this is an aftermarket product you need to check your local laws and regulations before installing this device. It is also intended for off-road use rather than on normal roads. The Nilight fog bar is very affordable and the majority of users agree that it is great value for money. The biggest feature according to users is the very bright light output. It is comparable to the output of headlights and thus makes this a very effective light. The fact that it is a combination of spot and flood light beams is a great advantage, since it provides more light directly in front of you as well as to the sides. Many users reported the mounting to be easy and quick, without any difficulties. 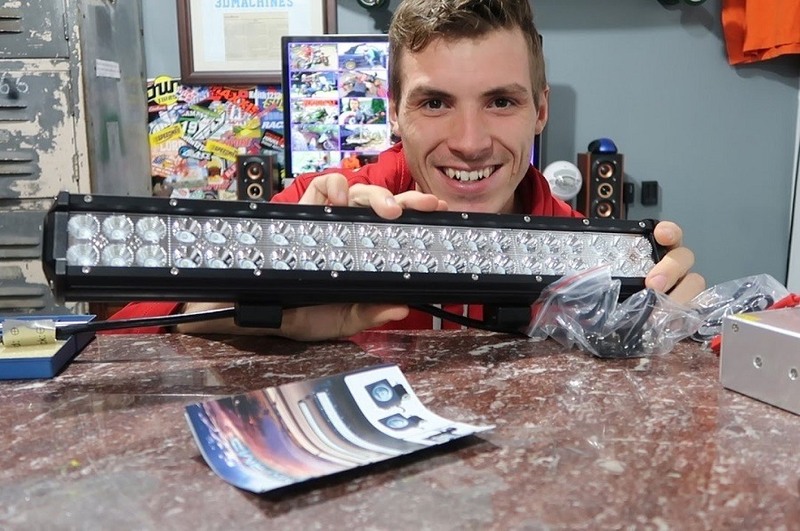 The fact that this light is not limited for use on vehicles only, makes it very versatile. The majority of users are happy with the Nilight Fog bar, but there are some issues reported. Since the light is so bright it is illegal to use it on any highway or other normal roads. It is only suitable for off-road use since it is so bright that it will blind other drivers coming towards you. Some users have complained that the light is not completely waterproof as stated and that condensation developed inside their lights. This seems to happen more often in extreme cold conditions. Some have suggested to add silicone to prevent moisture from creeping in, while others didn’t need it. A few users have also reported that some of the LED lights went out, possibly due to a short circuit. There have also been complaints about the quality of the mounting brackets, in some cases it broke, some didn’t receive all the brackets needed in the packet and others reported that the mounts are too short for certain types of vehicles. The Nilight fog bar is available for purchase online for under 35 USD. Be sure to use a trustworthy site like Amazon, who can handle aftercare problems and returns if needed. The Nilight 126W LED Spot Flood Combo fog bar is very affordable and you will be surprised at the amount of light output you get with such a budget friendly device. Go check it out.